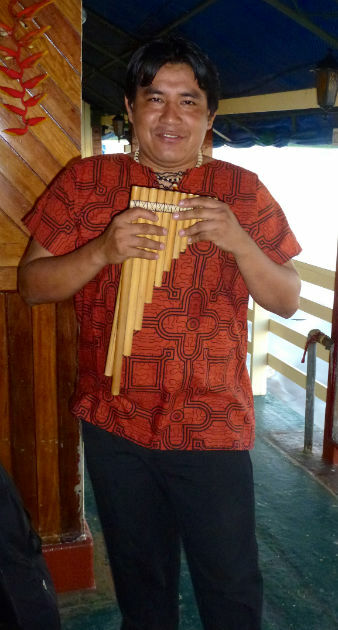 During our week-long journey on the waters of the Peruvian Amazon on the river boat, La Turmalina, each evening our group was treated to musical entertainment by members of the boat crew. They sang and played a variety of wind, string and percussion instruments, and also played a diverse range of music. None of them were professional musicians but their joy and delight in sharing their music with us was palpable and made it special for us. 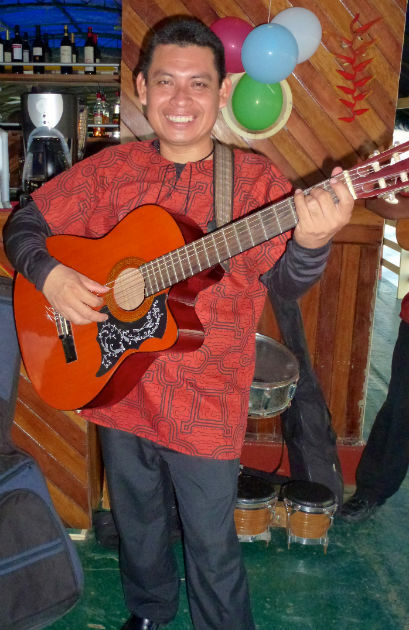 Among the instruments that they played were a guitar and a smaller stringed instrument, the charango, a traditional instrument of Peru that is a member of the lute family. 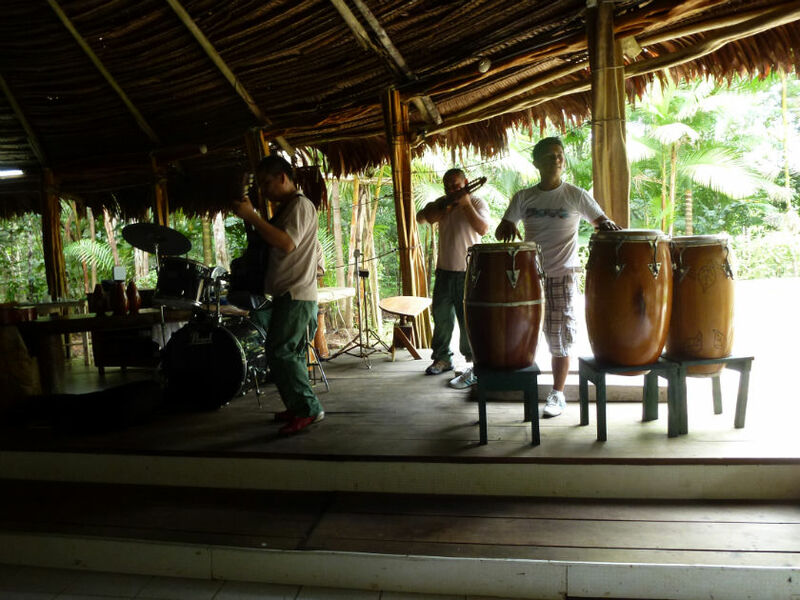 As well as conventional drums they played a box drum and maracas, and a pan flute or zampona. The three main members of the group were our cabin stewards Oscar and Blumer, and the dining room steward, Edgar but other crew members also joined in from time to time. In the picture above I think the instruments they are playing are a zampona, a cajón and a charango. I was so impressed how music obviously played an important part in the lives of these folks. 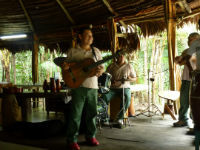 Later on one of our excursions to a posada in the jungle we were treated to lunch time music, representative of different regions of Peru. I recorded samples of these tunes and with their permission put together a brief video to illustrate the enthusiasm and energy of these performers.